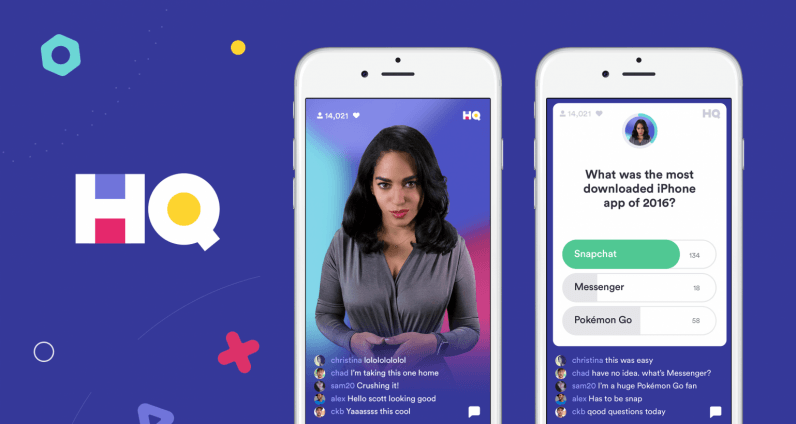 HQ Trivia, the wildly popular smartphone quiz show game, is officially launching in the UK. A Blighty-specific version of the game quietly launched a couple of weeks ago, but it was unclear whether this was merely an experiment with providing region-specific content, or the company had plans to make a longer-term commitment. Now, we know it’s the latter. The main host of the UK version is Sharon Carpenter, who regularly appears on the main game as a replacement for Scott “Quiz Daddy” Rogowsky. Carpenter is a veteran broadcast journalist, having worked with the likes of BBC World News America and Black Entertainment Television. Her confident rapport with the players has meant she’s quickly become a fan favorite. The UK version of HQ Trivia works much the same as the one fronted by Rogowsky. Users have to correctly answer a set of questions in order to win a share of a cash prize. The game’s break-neck pace remains the same across the pond, and players have just ten seconds to get the correct answer. This means cheating is extremely hard, although certainly not impossible. Obviously though, there are some differences. The questions tend to skew towards UK-specific topics. Expect to be quizzed on Beckham and Corbyn, rather than Brady and Schumer. The cash pot tends to be a lot smaller, too. That’s because the UK version of HQ Trivia tends to attract a much smaller number of players compared to the main game, where millions can (and do) play. The first official HQ Trivia UK game is tonight at 9PM GMT (4PM EST). According to a HQ Representative, future games will be “timed for UK audiences,” although didn’t specify anything concrete. That’s to be expected though, considering Carpenter is based in the US, and there’s a pretty major time difference.